This isn’t the first time I’ve seen this show. 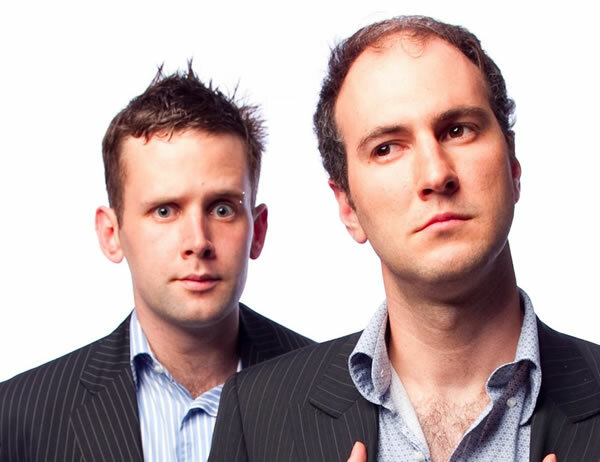 I caught Toby Halligan and Matthew Kenneally’s performance at the Canberra Comedy Festival back in 2013 and I was looking forward to another hour of their manic, intelligent approach to political comedy. This was also a bit of a farewell concert: Kenneally is running off to the United States to be a lawyer so this was likely to be the last Poli-Gobble show for a while (possibly forever). Hopefully Kenneally is following the Peter Garrett career path and he’s going to combine his experience in entertainment and law and enter federal politics. Although from his demonstration of how he would handle people asking questions on Q&A it would probably be a very short career: as a rule voters don’t like it when their politicians patiently explain to them why their question was stupid. The show was mostly improvised, a change from their previous set which had a lot of prepared stand-up. But the show didn’t falter. Kenneally and Halligan have worked so closely together (notably as part of the Political Asylum troupe) that they effortlessly riff off each other with that “loving but frustrated old married couple” dynamic. The show was themed around the budget and before the show the audience filled in slips with suggestions on how to balance it. These ranged from banning double spacing to improve productivity in the public service to a call to just ignore the budget and lower the tax on alcohol (Kenneally and Halligan duly set the nascent punctuation and drunk parties against each other as natural enemies). The pair had so much fun on stage they fell into a deranged good cop bad cop routine. Kenneally would chide Halligan for digressing and then remember a funny story he wanted to tell the audience and vice versa. One story about rapper Coolio’s recent endorsement of Canberra’s light rail project (the story so big it took two Canberra Times journalists to cover it) had me bent over laughing. Halligan captured the full absurdity of the light rail project and, probably worse, the fact that Canberra’s own newspaper felt that we just needed to have Coolio’s opinion (for the record, the rapper believes the project will be “dope”). And Kenneally raved about Joe Hockey’s superstar appearance on Q&A as though it was a hit music video. My favourite part of the show though was their ongoing mordant sarcasm about the repeal of the carbon tax. The worst kind of tax, they said, is the kind that you don’t actually notice. Somehow that’s just more insidious. It was a great night, with 45 minutes of support acts at the start taking the length of the show up to two hours. While the comedians were entertaining (Chris Ryan in particular was in very good form as the MC) I spent a lot of the first half wondering when the show I was waiting to see would actually start. The audience was revved up to see Kenneally and Halligan do their stuff and despite a few jokes about the snooty taste of the audience the support acts performed their standard, non-political routines. The audience was keen for a different style of comedy and I feel that the support acts could have done a better job of knowing their audience. Fortunately Halligan and Kenneally did not scrimp when their turn came, going overtime with an intense and hilarious seventy minutes.